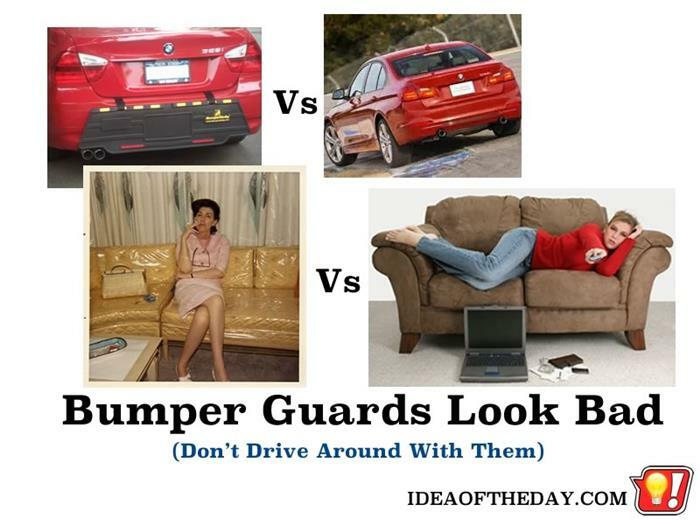 Don't Drive Around With Bumper Guards. They look Bad. Do you remember when people put plastic on their sofas so they would last longer? How dumb was that? Seems like a simple idea. You put the plastic on your expensive new sofa, then you didn't have to worry about spilling anything on it. To me, it was like the Emperor's New Clothes. Nobody wanted to admit that although it protected your prized possession from stains, they looked ridiculous and were completely uncomfortable.